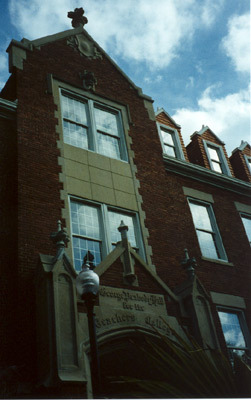 Peabody Hall is one of many historic buildings on campus. The entrance records its first occupant, the Education College, which was housed there until 1934. Peabody was the first home of the alligator before the student newspaper went independent.